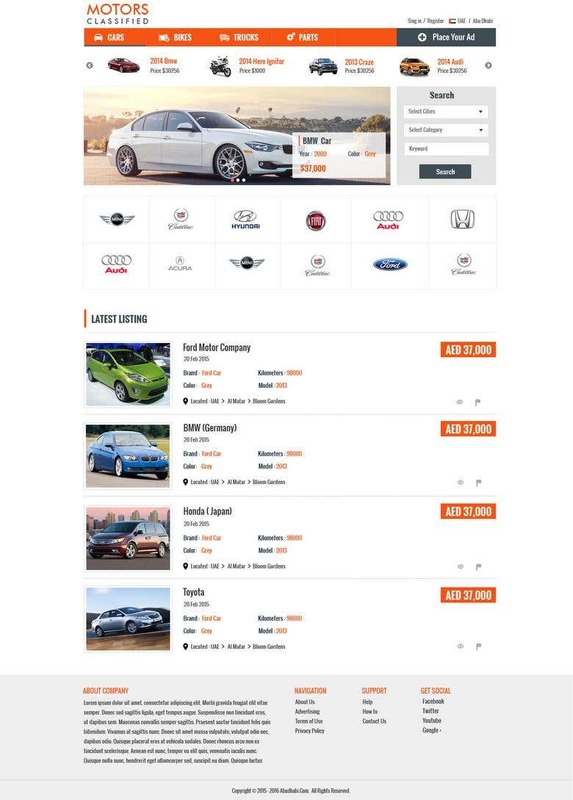 Buy/Sell motors portal in dual language. Engaging design created using WordPress & custom plugins. With 5+ years of WordPress experience we specialize in developing/customizing WordPress plugins & themes as per requirements. I do have premium WooCommerce and WordPress themes. If on constraint budget, I can provide my premium themes for free. - 500+ WordPress websites built - 150+ themes customized - 100+ plugins customized - No advance payment required - Priority to support & communication We have extensively customized following popular WordPress plugins & have strong hold on them: ★ BuddyPress ★ WooCommerce ★ Marketplace (Wc-Vendor) ★ S2 Membership ★ WP Job Manager ★ Gravity Forms ★ Events Manager ★ Bookly plugin We even have our own plugins in WordPress repository. Our codes are well commented & structured hence our plugins got approved & published by the team. Use the "HIRE ME" button to discuss on the project. Thanks!